When new technologies began to appear, many people got into serious trouble. And all this is due to the fact that their children (regular schoolchildren) can now use Android devices (tablets, phones) and get access to unwanted Internet pages, adult films, absurd games, and so on. Caring parents in every way think about how to protect their child from this unpleasant effect. Lock the smartphone through the "Settings"
Restrictions for the user through the section "Settings"
Google is constantly engaged in the implementation of various technologies in Android devices, thereby increasing the security of mobile gadgets. If the purchased device is lower than the Android version of 5.0, then in the “Settings” section there is a special item responsible for blocking inappropriate content. Just go to the “Settings”, go to the menu responsible for “Security”, select the “Attach to the screen” option and in the tab “Advanced” you will need to specify the required password. After completing this process, you can click on the "Browse" button, select the available programs on your smartphone and move up those programs that need to be blocked with a password. Any profile contained on a smartphone that runs on the Android platform can be blocked from unwanted viewing along with information containing on it. To do this, open the “Settings” section on the Android smartphone, select the Add new user there, indicate with a button that this is a “Restricted Profile” and hide unwanted programs for your child. In order to prevent the child from leaving this incomplete account (limited), you must specify a complex password that will be requested upon exit. Parental control can also start functioning provided that it is possible to limit the child’s activity on the Internet. It's no secret that now on the Internet, any kid can find everything your heart desires. There was a huge number of sites that contain a lot of prohibited material. Actual for today the way to restrict access to sites on the Android phone is to configure the router. Virtually every modern router in the settings control panel has a “Parental Control” function. This is a great way by which parental control on the android becomes the most relevant. The Google Play app store also contains Parental Control. This feature began to be in great demand, and for this reason, the developers from Google decided to install this functionality in their app store. This was done by chance. Children are our everything, and therefore everyone wants to protect them from the cruelty of the outside world. To enable the “Parental Control” function, you need to go to Google Play, select the “Settings” section, open the “Parental Control” option, enter the secret password and activate access to applications that are divided according to the age principle. By their actions, it will be possible to protect the baby from downloading unnecessary games that can cause moral damage to a small user who is just beginning to understand modern technologies, absorbing the entire flow of information, like a sponge. 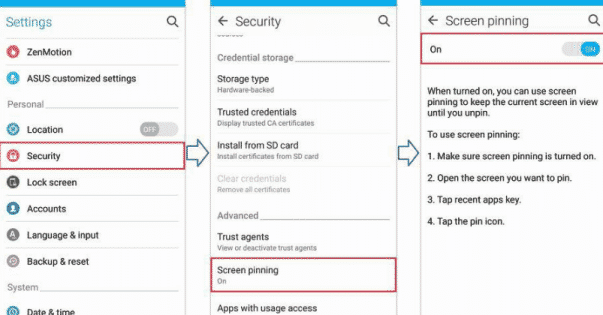 In addition, thanks to the rich functionality of the Android operating system, you can set parental controls on the android, various special applications have been released that allow you to enable this feature by limiting the child’s access to numerous applications that are considered unnecessary by the parent. There is a huge list of these applications, there is no sense to consider each, but I would like to say a separate word about the application with the name - Xooloo App Kids. By installing this special application on the phone, the user will create an additional desktop, which will be allocated for the child. Roughly speaking, the application Xooloo App Kids - This is a kind of launcher, on the desktop of which you can place only those applications that your child should fall into. To disable this software, you must enter a four-digit password. Naturally, the baby will not be able to recognize him until the parent himself tells him. Another interesting application is considered "Timeaway". This program is designed for children of school age. Now an advanced user (parent) will be able to control all the activities of his household on a tablet or mobile phone. It will be possible to control the time spent in games, the sleep time of the device itself, allow the installation of various applications, and so on. This is all necessary so that the child does not manage to install any unnecessary garbage from Google Play, because of which his psyche may be disturbed. Were considered all the current ways through which you can install "Parental Control" on Android tablets or mobile phones. 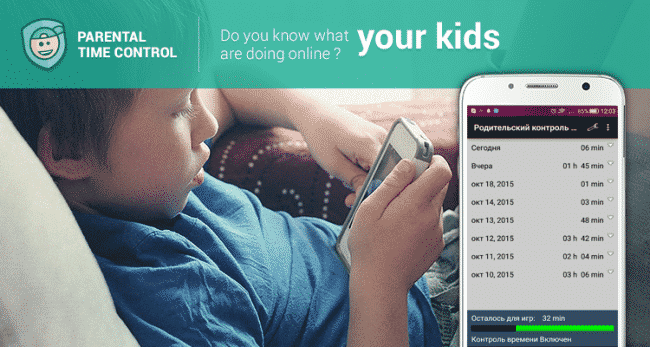 Parental control android will be in demand all the time, as long as the parents wish to protect their children from various impacts from harmful applications, websites, and a lot of other information that is not needed for the perception of the child.